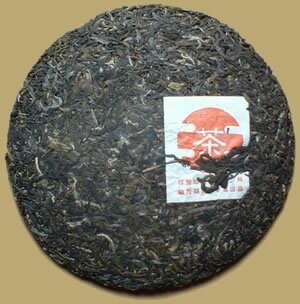 Menghai Langhe Tea Factory was founded in 1997, it is engaged in growing, processing and manufacturing Pu-erh Tea. This relatively 'young' 2002 Green Pu-erh Beeng Cha aged by slowly dry aging and storing the cakes to create a real great tea, perfectly drinkable now but great potential after a few years of aging. PREPARATION: To prepare Pu-erh tea from cakes, pry out the desired amount leaves and place in a teapot. Rinse by covering with boiling water and quickly pour off. Cover with boiling water again and let steep 5-30 seconds (depending on how light or dark you want the tea) and serve. Pu-erh tea can be steeped 10-20 times.